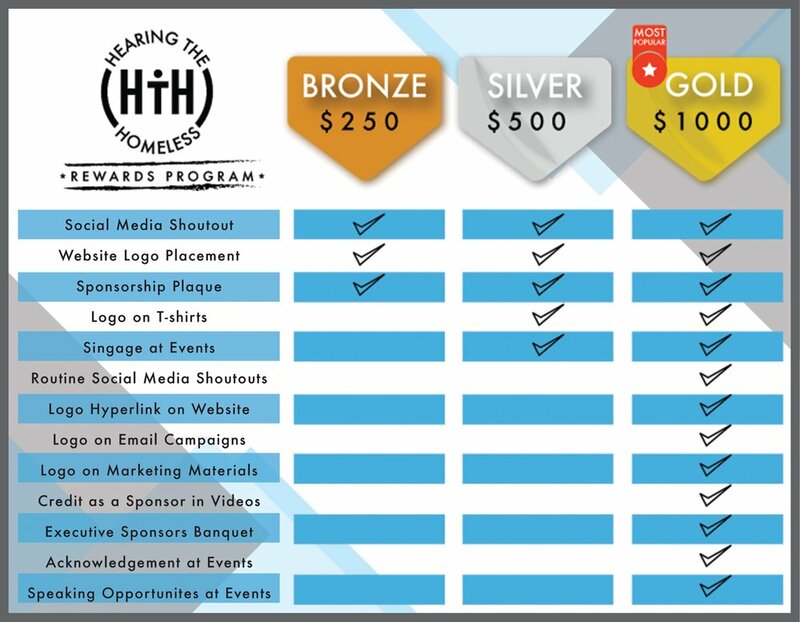 Hearing the Homeless offers sponsorships for businesses to give back to their community and help HTH make an even greater impact in the lives of the homeless. Sponsorships are available in one time donations as well as monthly and annual memberships. For more information or to enroll please fill out the form below.